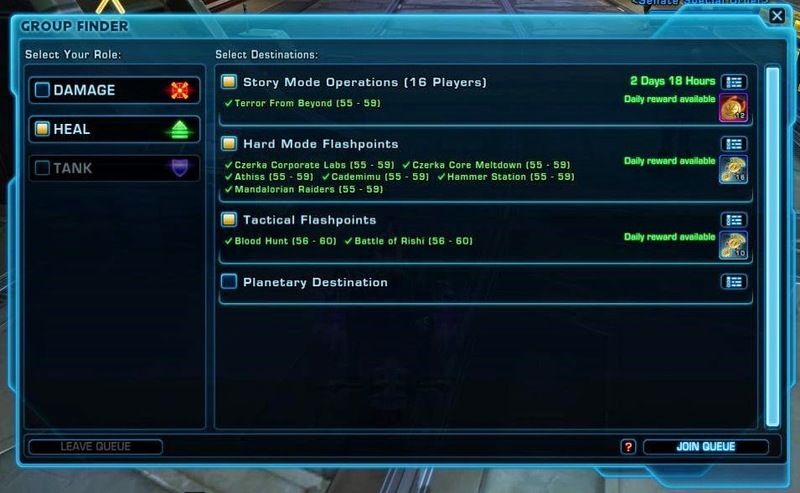 Going Commando | A SWTOR Fan Blog: 3.0.2 - My New Favourite Patch? 3.0.2 - My New Favourite Patch? "But it's just a bunch of bug fixes and stuff!" you might say. "Exactly," I'd reply. Even if they really need to update the text describing the level ranges now, as it's basically completely wrong. You see, I got quite fed up with the group finder in the past couple of weeks. 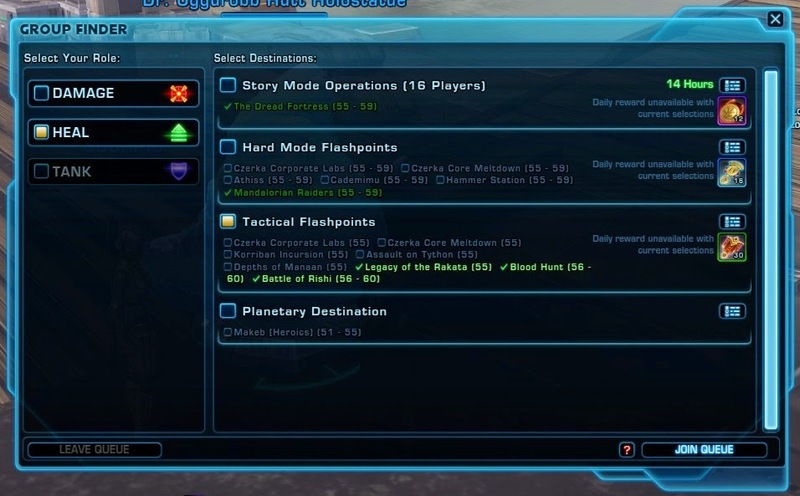 I've said that I'm not a big fan of the solo mode flashpoints, so of course I wanted to put my money where my mouth is and progress through both Forged Alliances and the Shadow of Revan flashpoints in a group whenever possible (on my alts that haven't done it yet, that is). On my agent I got an instant pop when I tried to get into Dephts of Manaan tactical to progress her Forged Alliances arc, so at first this seemed like a perfectly viable option. After that however, I suddenly wasn't able to get a group for any of the Forged Alliances flashpoints on story mode anymore, at all, ever. I must have spent more than four hours in total in the queue, trying to get into Legacy of the Rakata on my agent and into Depths of Manaan on my Gunslinger, without ever getting a pop. At first I was both confused and disappointed by this: While I get that many people will opt for the solo version if given the choice, you only need three other players of any class or role for a tactical flashpoint. I couldn't quite believe that the player base had suddenly become so asocial that you couldn't even find that anymore, not even during prime time on what's supposed to be the EU's busiest PvE server. 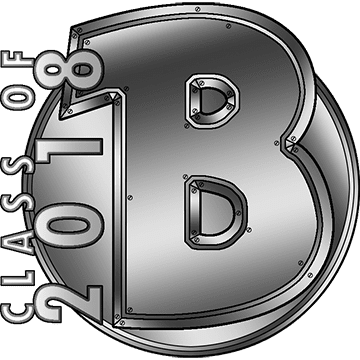 But then the penny dropped: as soon as you hit level 56, all the Forged Alliances flashpoints fell off the group finder, and if you're doing the whole storyline from the start, which is probably true for most people at this point, you will ding throughout the course of it. Hm, level 57 and trying to complete Forged Alliances... how?! This went to explain the dearth of people in the queue of course - because it was simply impossible to complete the whole thing via group finder as soon as you hit level 56! Imagine if any other flashpoint was limited to a single level only (that isn't the level cap) - it would be utter madness. And it made me even grumpier about solo flashpoints, because you can bet that Bioware wouldn't just have "forgotten" to enable access to this stuff if solo mode didn't exist... but whatever. Who says the people who ask others to skip cut scenes are always jerks out to ruin other people's experience? Sometimes all that's needed is a little bit of communication. Solo Flashpoints - Good or Bad Idea?